It can be hard to find Return of the Jedi era hardcopy figures or even parts, but to find something from the original Star Wars era is a rare find indeed. 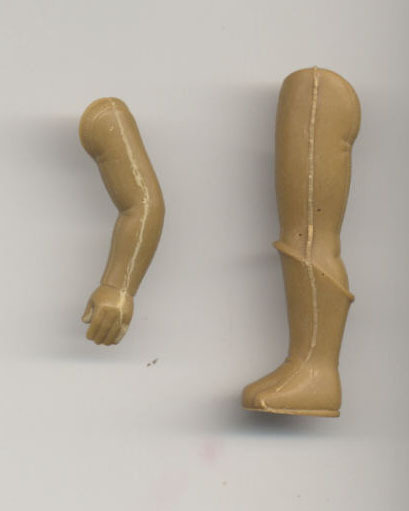 Shown here are the left unpainted hardcopy limbs for the Sears Exclusive Blue Snaggletooth figure that came in the Creature Cantina Set. 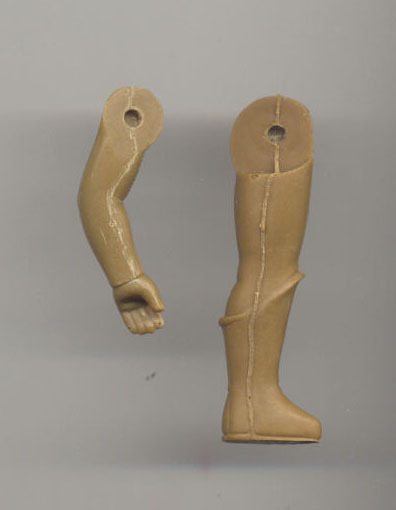 These pieces were cast in carbalon, a light tan colored urethane commonly used on pre-ROTJ hardcopies. Here is a shot of the inside of the limbs, where you can see the parting lines and the holes for the metal pins. When finished these pieces would be used to make a complete painted hardcopy, like the one shown here.